We have already seen a number of videos featuring Apple’s latest smartphones, including a drop test video for the new iPhone 6S and 6S Plus handsets, plus a bend test video for the 6S Plus. 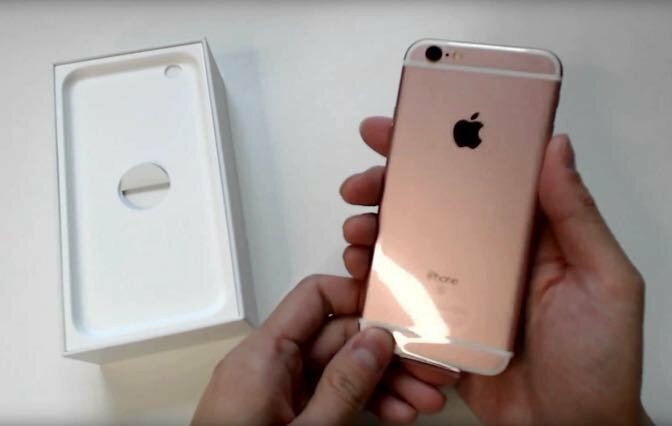 Now we have another video, this one is an unboxing video of the new Rose Gold iPhone 6S, which was put together by lachlanlikesathing. Apple’s new iPhone 6S and 6S Plus handsets have a similar design to the iPhone 6 and 6 Plus, although the casing on the new devices is made from 7000 Series aluminum and the handsets feature a new tougher display. The hardware on the new iPhones have also been updated to include a new 3D Touch Force Touch Display and both handsets come with a new Apple A9 processor, 2GB of RAM and a new 12 megapixel Apple iSight camera.